In one of the scenes in the 3rd Reverend G book, she wanders around a cemetery. Recently, I found myself doing the same thing. Isn’t it odd how often life imitates art? 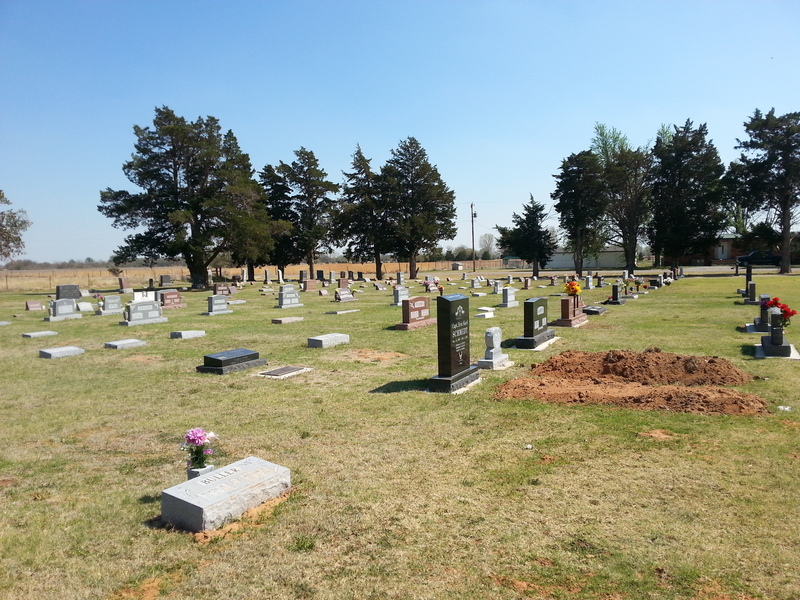 Since I was in my hometown for a book signing, I stopped at the cemetery to “visit” with Dad and all the other relatives. Yes, I know Dad isn’t really there, but this is the place that represents closure for me. I don’t believe in talking to the dead, but I often ask God to talk to Dad and others for me. I imagine the group of saints sitting in chairs like the scene in “Our Town,” that great cloud of witnesses mentioned in Hebrews watching me as I roam among their graves. The tune of “Thank you for Giving to the Lord” by Ray Boltz filtered through my soul. So many babies’ graves. In the 1800’s and early 1900’s, so many little ones lived only one or two days. Was it SIDS or a childhood illness, something simple like the croup that we can cure so easily now with antibiotics? I imagined God watching over his heavenly nursery and loving each baby. Then I knelt before Dad’s stone and brushed some of winter’s dust from his name. A few tears, a soul hurt. “The family will be together soon, Dad – at the farm. I loved being a country girl. Mom is in assisted living now. She has Alzheimer’s, and she still misses you. We all do. As I leave the cemetery, I add my own hallelujahs, anticipating the day when those graves will open, the bodies of those saints will join their souls in heaven – and I, thank you Jesus, I will be close behind them. During Christmas break, I sit in Mom’s house, a mile away from where she now lives in assisted living, an experience away from her new existence within the world of Alzheimer’s. Shadows play against the wall. Sunset in Oklahoma still wins as my favorite part of the day. I once climbed my special tree on the family farm, perched alone with my journal in one of my favorite spots, a nest of branches and limbs that held me safely as I watched the turquoise sky that framed the wheat field turn into a frame of orange and red. 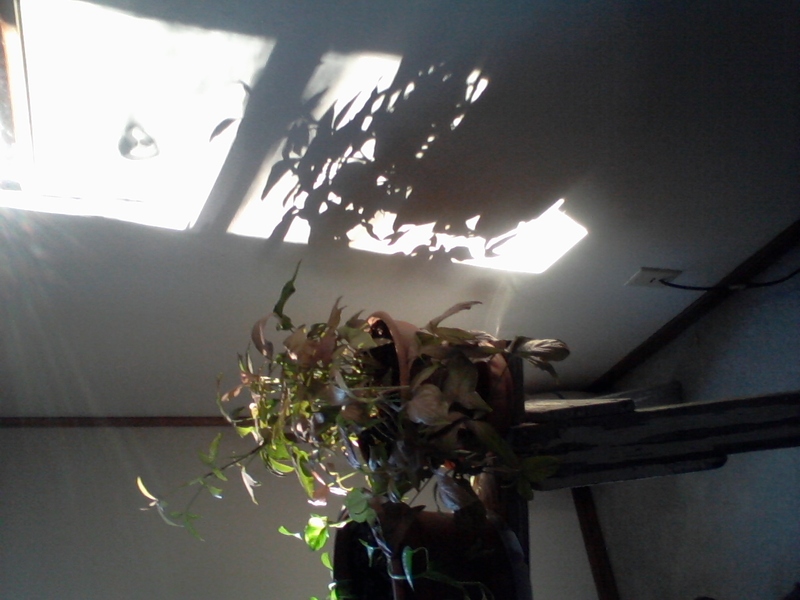 Now within Mom’s house, I worship the creator of a new sunset as it changes a taupe wall to a natural painting of shadow on light. 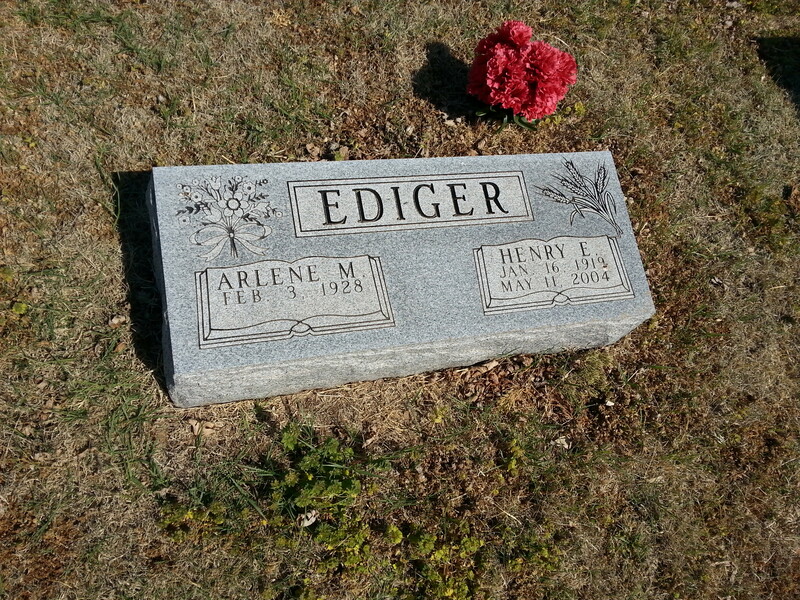 The shadows grow deeper for Mom within her Alzheimer’s world even as they lengthen for my siblings and I. We observe Mom’s confusion and recognize more signs of the coming stages. Our mother disappears into Alzheimer’s land. Our world changes once again as memory fades and communication alters. Another 24 hours is spent, and I wonder about my own life, my own calendar of events. How should I live in this new year so that each sunset brings with it a contentment that I lived this day well, that I finished my course with joy and purpose? How can I live so that when my own shadows lengthen and deepen, the light I have shared will be what is remembered – my legacy to the world for my God? None of us is certain of our timelines. We can only attempt to do our best, to live and love and work with pride, to complete the tasks before us and honor the One who gives us the energy to work, to live and love. We can only commit to a stronger and higher calling so that when the sunset comes, we will rejoice in the light that dances at the end of the day. Ever since I moved to this area of Kansas City, I’ve wanted to experience The Berry Patch. Nestled just outside the honking city and barely over the state line into Missouri, The Berry Patch offers fresh bounty from God’s earth as well as a respite for this particular farm girl. It began in 1975, as a farm for peaches and then blackberries. Both crops died. Then by accident – one of those accidents in life that remind us God loves to plant surprises – the owners began planting and harvesting blueberries. 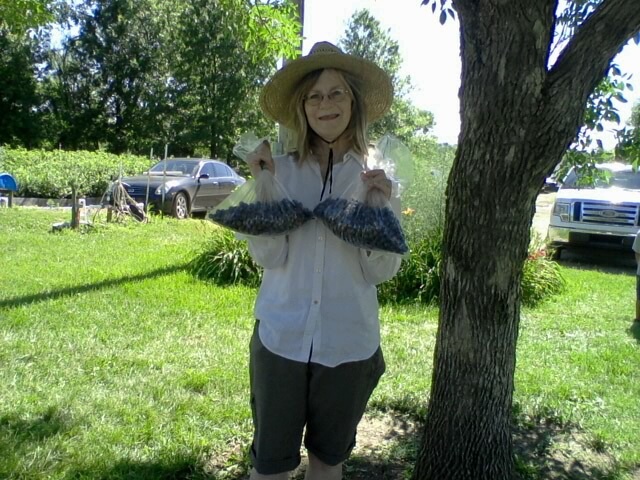 But for this particular author, The Berry Patch was more than just an opportunity to pick fresh blueberries and enjoy the country – it represented another research trip centered around my main character. If you haven’t yet read the book, one of the themes you will find in “The Unraveling of Reverend G” is how much she loves blueberries. She globs them all over cheesecake at her retirement party, heaps them onto her oatmeal and (here’s a clue in the third book of the series) … Reverend G wakes up one morning with a terrible craving for those tiny blue dots. So to replenish my own stock of berries and to do a bit of research, I drove out to The Berry Patch. The drive itself was enough to convince me this needed to be an annual adventure. Large acreages with winding roadways that ended in beautiful scenic homes, a man-made lake with happy ducks and colorful boats sharing its tranquility, a herd of black angus – slowly digesting the summer grass. I joined other berry pickers by checking in and getting my buckets. A large wooden sign gave directions to the best patches for picking on that particular day as well as instructions on how to pick – palms up and carefully, so as not to squish the berries and end up with purply-stained fingers. I learned that the reddish berries are more tart – great for cooking but not so much for eating fresh from the bowl. The darker berries are best, so I looked for dark ones about the same diameter as a dime. What I also learned about was the over-30 varieties of blueberries. The Berry Patch includes several: Blue Crop, Duke and Liberty, to mention a few. But this farm girl from Oklahoma sure knows how to eat from the land, and now I have several pounds of fresh blueberries in my freezer – just waiting to plump up my gluten free pancakes or decorate my steel cut oats. After I paid for my berries and transported them to the car, I took off my hat, fluffed up my hair and sought out the manager for a chit-chat about a certain fictional character and how her book might sell in the country store. Sure enough, we struck a deal and “The Unraveling of Reverend G” is now for sale at The Berry Patch. So you never know what might happen on a Saturday morning when you’re looking for an adventure outside of the city. You might have a fun time picking blueberries, meet some nice folks from all over the place, enjoy the sights and smells of a country store and at the same time – market your book. She accidentally became a nurse. Her life’s ambition and the prophecy from her high school yearbook stated that she would someday become a famous writer, weaving thousands of words into paragraphs and books. But World War II interrupted everyone’s plans, so she signed up to become an army nurse. The only way she could afford an education was to let Uncle Sam do it for her. 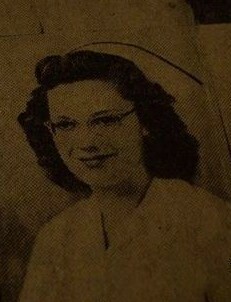 Ancestry.com lists her as Arlene Renken Ediger, a nurse in the Army Cadet Corps from 1942-1948, but since 1950—I have known her only as Mom. The war ended before her nursing class shipped overseas, but she continued to work as a registered nurse, supplementing her husband’s farm income and taking care of her three children. Her 3-11 shift at the hospital worked well for our family while Dad drove us home on the school bus, made supper and helped us figure out our math homework. Although I remember her white uniform, starched and ironed so that not even a hint of a wrinkle showed, it was her hat that signaled she was ready for work. Neatly bobby-pinned to her hair, she proudly wore her hat and made sure that any stains were successfully bleached out. Even the bobby pins were painted white. She never understood how modern-day nurses sacrificed their hats nor how they substituted those colorful scrubs for the white dress uniform, white support hose and white rubber-soled shoes. “A nurse has to look the part,” she said. “Professional…always.” Even jewelry was forbidden, so she surreptitiously wore a tiny cross underneath her uniform to remind herself that as she served others, she also served Christ. Her nurse’s training also bled into our chores at home. When changing the beds, she made perfect hospital corners. She taught us to do the same. Our bed sheets were so tight, quarters bounced off them like hailstones during an Oklahoma storm. I was in my fifties before I dared to leave my bed unmade. It seems now a cruel twist of fate that Mom has been diagnosed with Alzheimer’s. She can no longer handle a syringe, and she mixes up her own medicines. She forgets to eat and recently, we had to take away car privileges. The doctor helped us confirm the “no driving” rule. He wrote a prescription that stated, “Arlene can no longer drive.” That finally convinced her. When she reads the script, she obeys because that’s what nurses do. They follow doctors’ orders. Mom may live with Alzheimer’s for many years. We take it one day at a time, knowing it is a losing battle. She will eventually forget who we are and even her memories of nursing will one day disappear. Over time, she may forget how to speak and how to smile. But I’ll always remember her in that crisp white uniform, on her way out the door to take care of someone who was sick.